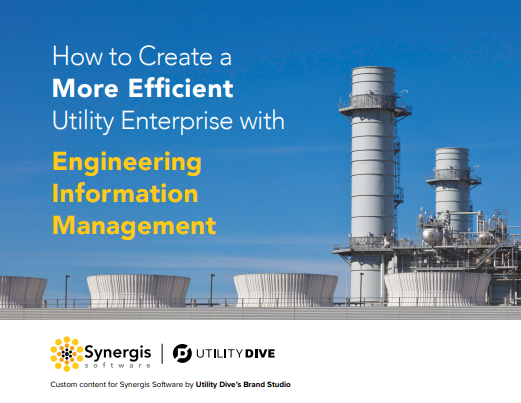 Many utilities view engineering information management (EIM) solutions as a way to realize day-to-day efficiencies and benefits for engineering staff. However, looking beyond engineering, business leaders can realize a much broader return on this investment from operations and maintenance departments. In fact, leveraging the full value of EIM can yield both competitive and strategic advantages. Efficient, effective utilities tend to have more success attracting investors, retaining customers and building new revenue streams. How a robust EIM can improve a utility’s business performance and strategy implementation. Why achieving a higher level of control and certainty reduces risks. How EIM can speed the completion of both ordinary operations or major capital projects. Questions to consider when assessing the potential value of EIM.